David de Gea's error gifted Arsenal the opener at Old Trafford on Wednesday night, though Anthony Martial's close-range finish brought United level by half-time. 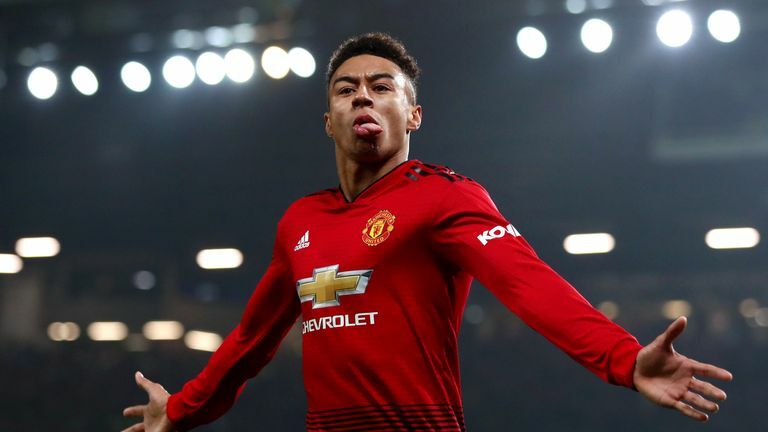 Marcos Rojo then scored an own goal when sliding in on Arsenal striker Alexandre Lacazette, before Jesse Lingard earned United a point when slotting in 13 seconds after the restart. "We played against a team that is in the top of their season, in the top of their moment where everything goes well for them. That is clearly a team that is on a high, against a team that has so many problems," he said. "Then in the second half our best moment, where Arsenal were clearly trying to stop the game, getting an injury here, an injury there, stop the game again, they were trying to control the game and reduce the intensity of the game. We scored the second goal for them. "The team had a very good response, had a big soul. We scored four goals and drew 2-2. Even in matches like today where we play well we always shoot ourselves [in the foot]. Sometimes we miss chances with open goals, sometimes we make defensive mistakes, but a fantastic spirit and good performances." United made seven changes from the side that drew 2-2 at Southampton on Saturday, with Paul Pogba and Romelu Lukaku among those dropped to the bench. Diogo Dalot came in for his first Premier League start, while Rojo made his first appearance of the season, and Mourinho stressed that despite his side's mistakes, every player had a "very good" game. "We feel frustrated with the result, with some mistakes, with some moments where a little bit more quality would be needed," Mourinho added. "But we have to be happy with the spirit, the effort, the dynamic, the intensity, the understanding of our difficulties, the changes we made in the team to try to be more compact. 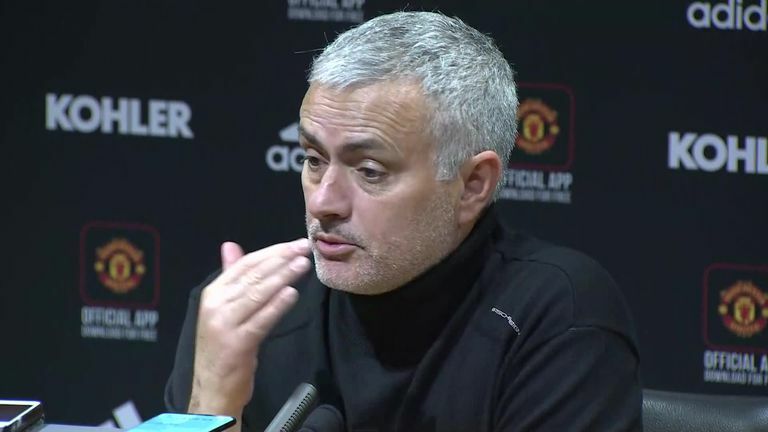 "Behind was a kid [Dalot] with a first start, Eric [Bailly] half-injured and without playing for a long time, Smalling injured - I have to say injured - Marcos Rojo's first minutes of the season, [Matteo] Darmian with a third start; it was lots of people in very difficult circumstances. "I could speak about everyone, including Marcos Rojo, that in my opinion played a very good game. I knew it, with the surgery, when [Rojo] was coming back he went to the national team and played two matches in three days, and he had a problem again." With Lukaku named on the bench, Lingard and Martial started up front with Marcus Rashford, and Mourinho said the trio played with a much-needed happiness. Mourinho said: "They played well. They gave good dynamic, good intensity, good movement. We need that. We need that happiness, especially in moments where we are not very happy with the results. We need happiness on the pitch, we need people that gives that good feeling. "Three young guys up front, all of them quite light, alive, agile, creative, they [played] good. I think midfield was strong, Herrera pressed so well and so hard, and the people behind were always in control."